With our busy lifestyles and urbanization seeping in, the crime rate is on the rise. It gets particularly difficult for families that have really old members or little kids. It is not possible to have a constant manual scrutiny of our surroundings and which is why mishaps cannot be completely avoided. The very first and obvious benefit of adopting any time of surveillance system is obviously monitoring the theft, burglary or any such crime that has occurred at a particular place. It is not necessarily required only for home; in fact it is of great advantage to have it in other localities. It helps you recognize the criminal at once and helps you replay the situation to analyze what exactly happened. For example, there was an accident in Delhi on a deserted road. It would have been just another hit and run case, had it not been for the CCTV situated close by. Thanks to the footage, the police was able to trace back the underage driver by rewinding and procuring the car number. This system also helps you monitor what is happening at home with more clarity. With baby monitors becoming a trend now, it is particularly important if you are out and busy at work. The usage of electronic surveillance system in India has increased with more and more people wanting to keep a tab at their homes with the help of remote acess provided by these surveillance systems. You can simply install the program and get a heads up on what is the current scenario at your work place. The installation of these devices is much easier than a full proof complicated theft prevention system. The analog system is time-consuming and does not match the efficiency of an electronic surveillance system. Now, with a large security team in offices, mansions, big houses or even schools, it is a one-stop solution and helps you keep an eye on the current scenario of each nook and corner of the concerned place. Another advantage of having surveillance system in India is by making use of the alarm system. It is of extreme importance that the device is somehow connected to the monitoring authority so that we can actually utilize ‘prevention is better than cure’. If the authority is alerted at the right time, we can easily avoid a crime before it begins. This is a great option for offices with women. The sheer quality produced on a surveillance device is the best. It helps you analyze the crime scene better and can give a better idea of what actually happened in the place which in turn helps one find the accused faster due to more clarity. Abroad, the system has been adopted long ago but in India, people are still apprehensive since there is a notion that it is quite highly priced, but the returns of this surveillance system especially in a country like ours is much more than the investment. 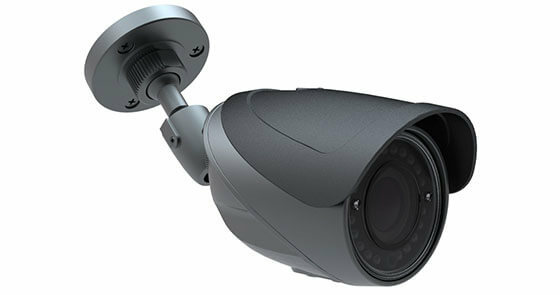 This article talks about the advantages of surveillance systems in India. It talks about the benefits of adopting it in different situations, especially in a country like ours where crime rates are at an all-time high.